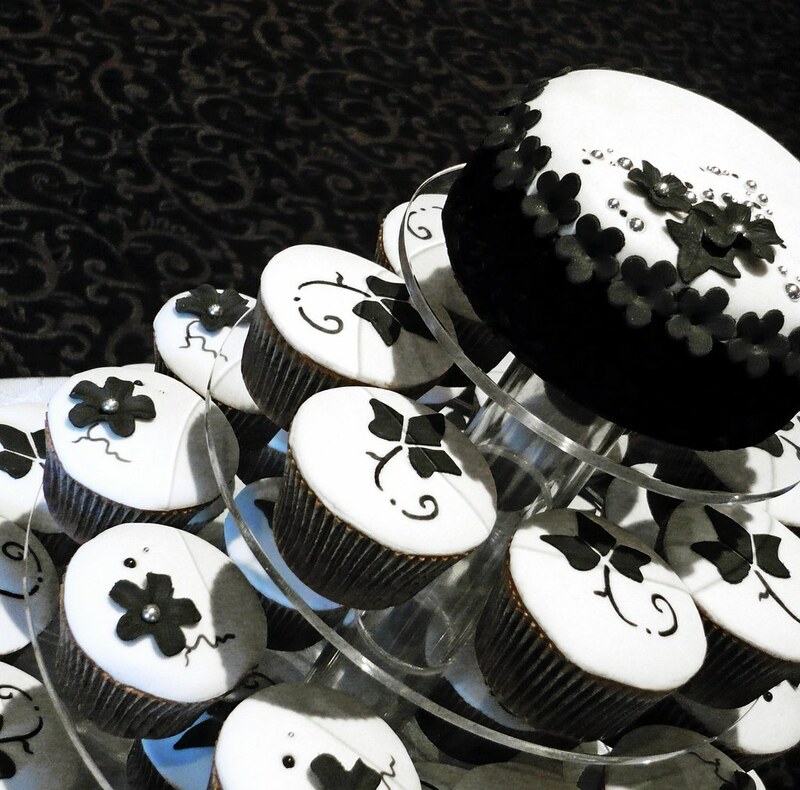 Cupcakes designed to a black and white "floral baroque" theme. A selection of Dark Chocolate Fudge Cupcakes with White Chocolate Mousseline Buttercream accompanied by Chocolate Fudge Cupcakes with Baileys Irish Buttercream. The cutting cake measures 15cm in diameter and is Dark Chocolate + Baileys flavour as per the cupcakes. wow what a fantastic wedding cake, different but lovely! I just found you site and you do such great work! 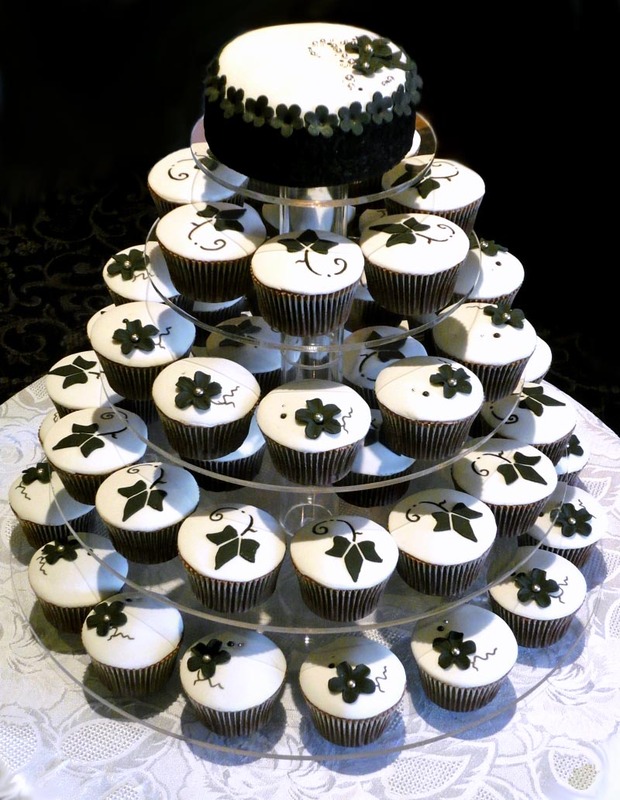 I love those black and white cupcakes - SO striking! Keep up the great work!! how do you do the leaves?? Viagra Online is searching for it on Europe. Consider the type of fairing mounting that you desire. Hogan Online Do you want fork mounted fairings that turns as you turn the handle bars thus allowing you to direct the headlights or do you prefer the frame mounted fairings that are firmly attached Cheap D&G Sunglasses to the motorcycle and cannot move? Ensure that the type of fairing you choose will allow for visibility and enable you to easily handle the motorcycle. Finally, consider the cost of each option, Abercrombie and Fitch Clothing as this will very much determine the type of motorcycle fairings you will buy. Purchase fairings within your budget while you simultaneously consider all the other factors listed herein as you buy your motorcycle fairings.